Reviews of the Ricoh WG-30 Wi-fi from around the web. 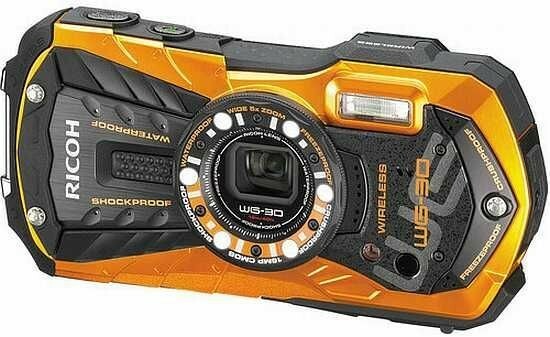 The new Ricoh WG-30 updates the WG-20, with a 16 megapixel CMOS sensor which allows fullHD video recording as well as improved shooting speed, the WG-30 is the entry level waterproof camera from Ricoh, with the WG-4 offering further protection, a brighter f/2.0 lens, as well as other features, including GPS on the WG-4 GPS. The Ricoh WG-30 is available in black or red.